The 200 block of North Mount Street is indeed within the Hawthorne Neighborhood Association. HNA is an organized neighborhood group, registered with the City of Indianapolis. It’s located in Wayne Township, west of the White River, only a couple of miles from the center of the city. 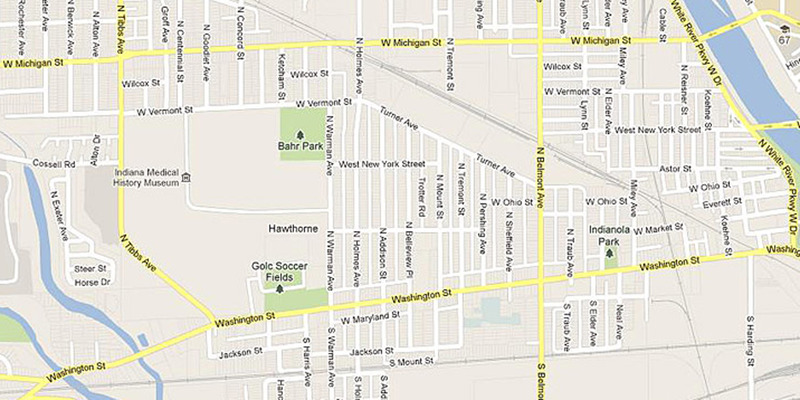 The neighborhood is bounded on the south by Washington Street, on the west by Tibbs Avenue, on the north by Michigan Street, and on the east by Belmont Avenue. The area was originally called Mt. Jackson, although it was never officially an incorporated municipality. 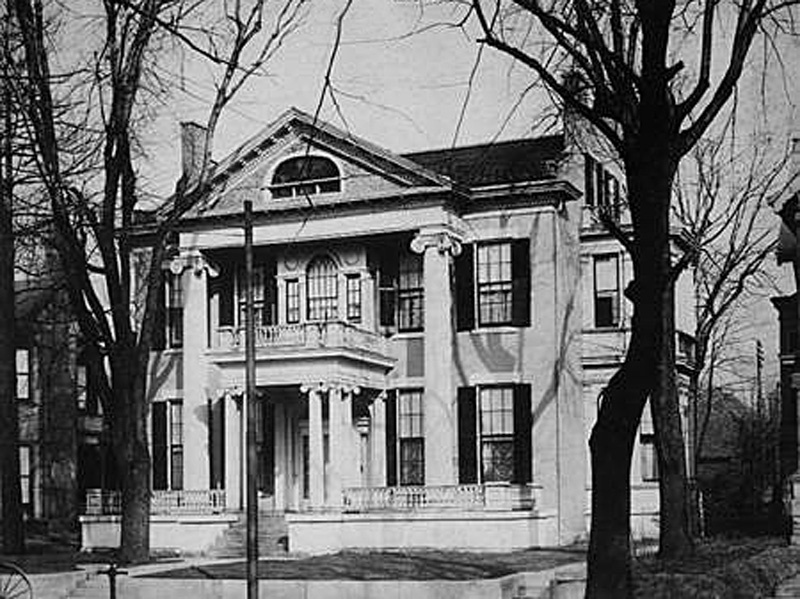 After the settlement was annexed to the City of Indianapolis in 1897, the name Hawthorne gradually replaced the name Mt. Jackson. The Mount Jackson Cemetery on Tibbs Avenue was established in 1821 and retains its original appellation. The president of the Hawthorne Neighborhood Association is Julie Ellison. You can contact her via e-mail at hawthorneneighborhood@yahoo.com. The Neighborhood Liaison in the Indianapolis Mayor’s office is Betty Smith-Beecher, who can be reached at 429-7806 or Betty.Smith@indy.gov. Both persons are good resources, if you would like to obtain additional neighborhood information. 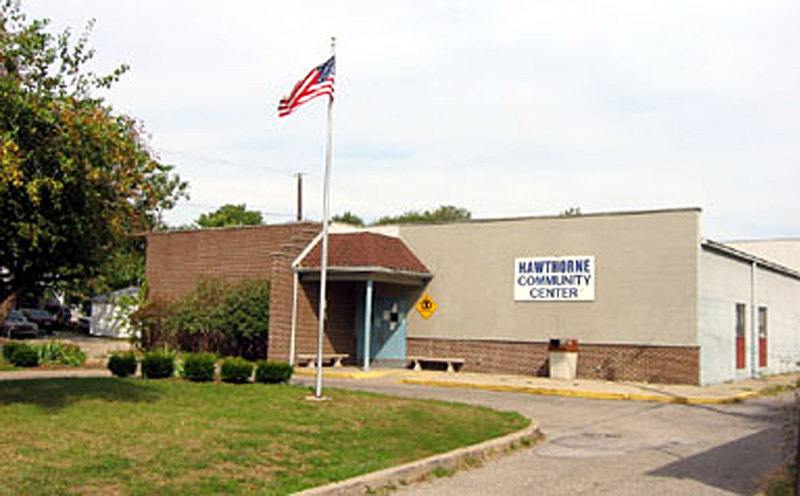 The Hawthorne Neighborhood Association also belongs to an umbrella organization called Near West, which includes the adjacent neighborhoods of Haughville and Stringtown. The Near West Coordinator is Patrice Duckett, whom you can reach at 637-4312 or pduckett@hawthornecenter.org. An anchor in the neighborhood is the Hawthorne Community Center at 2440 W. Ohio Street. The center’s educational programs are housed in a former Carnegie Library Branch building at 70 North Mount Street. At the time the Mt. 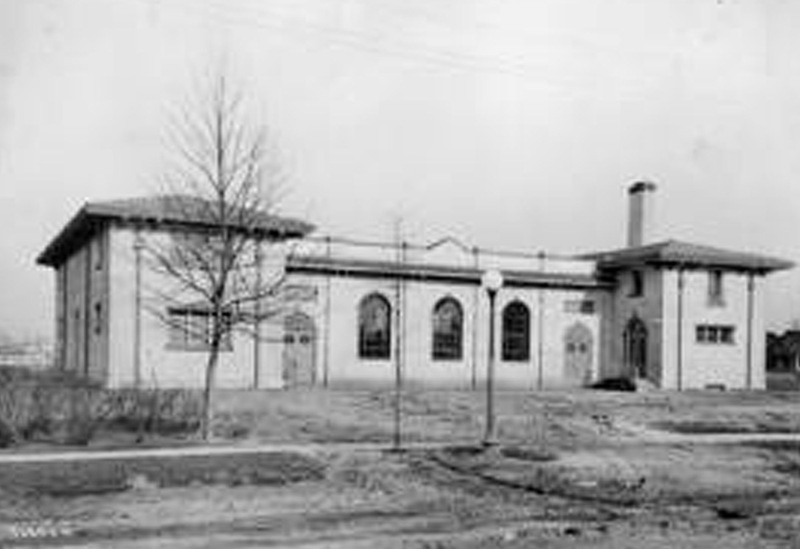 Jackson area was annexed to the City of Indianapolis, an elementary school already existed at 3050 West Jackson Street. 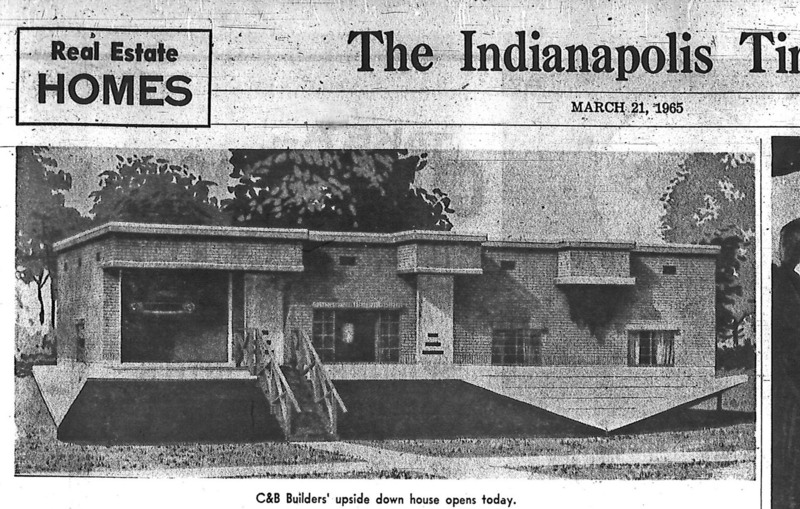 That school then became Indianapolis Public School 50. In 1905 a brand new School 50 was erected at 75 North Belleview Place. It was also alternately known as Nathaniel Hawthorne School. 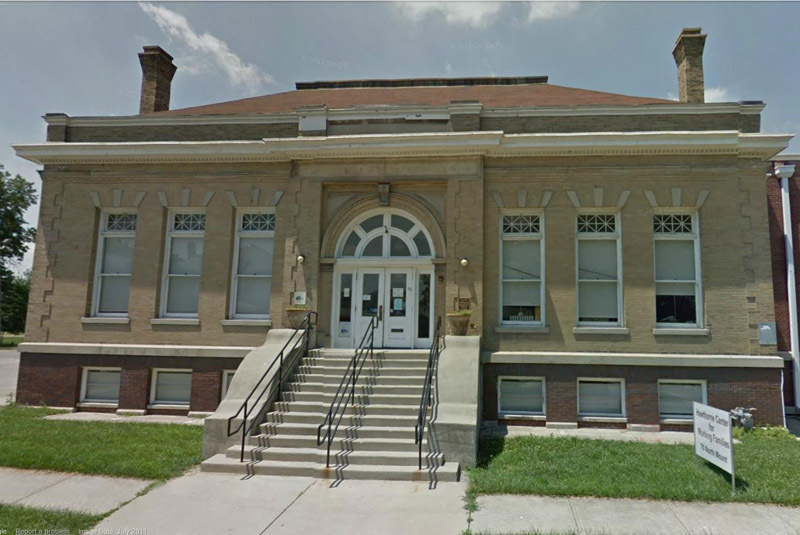 At one time School 50 was an anchor in the neighborhood, along with the Indianapolis Public Library branch that was adjacent to it. Today, the former IPS school is the home of Providence Cristo Rey High School, and the library is a community center. The neighborhood is also home to Hawthorne Park, which is south of the school, extending south to West Washington Street. The legal description of the property you are rehabbing is Trotter & Henry’s Addition. 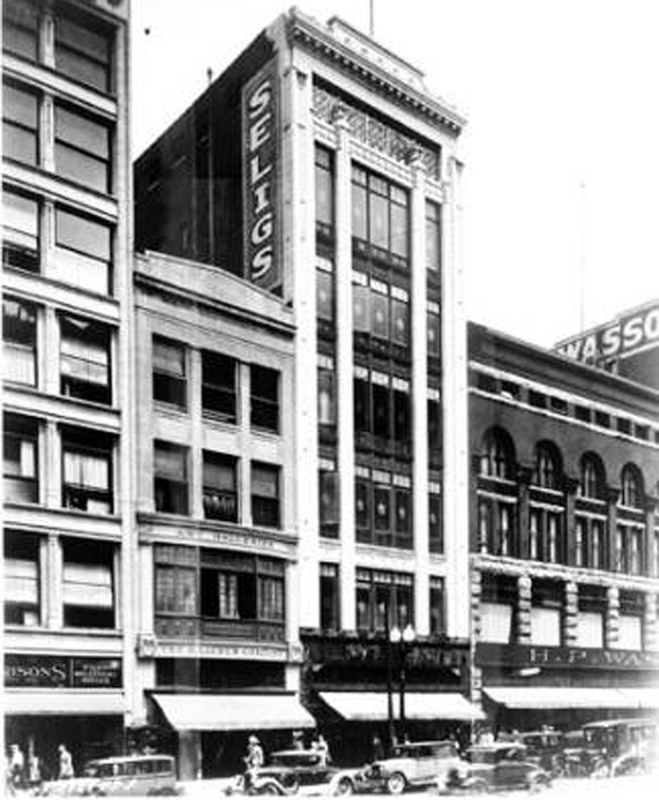 The development was named for Lemon H. Trotter and A. L. Henry, who operated a real estate company in the State Life Building, which was located at 15 E. Washington Street. The building had a devastating fire in the 1970s and was razed. The site of that once popular office building remains a surface parking lot four decades later. The open lot is memorable for the mural on the east-facing wall of the building to the west of the parking spaces. Of the 239 properties still standing in Trotter & Henry’s Addition today, most were built between 1900 and 1920. The Trotters were early residents of Wayne Township. 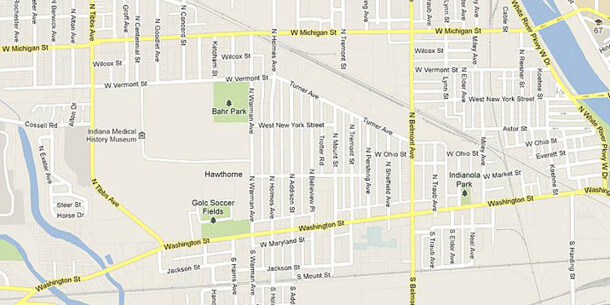 John J. Trotter farmed the area near W. Michigan Street and Tibbs Avenue. Fayette Trotter was a carpenter. Oscar Trotter was a grocer. Harold Trotter and Lee Trotter were druggists. 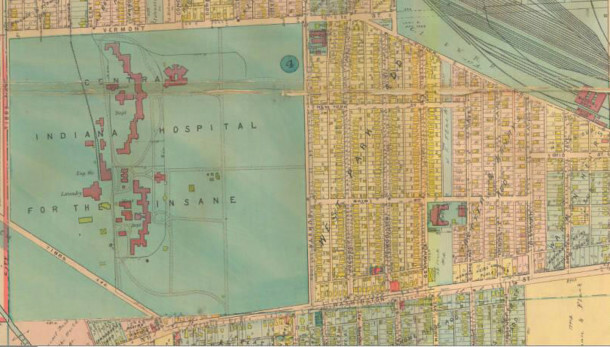 Occupying a significant portion of the Hawthorne neighborhood for nearly a century-and-a-half was the Central State Hospital for the Insane. 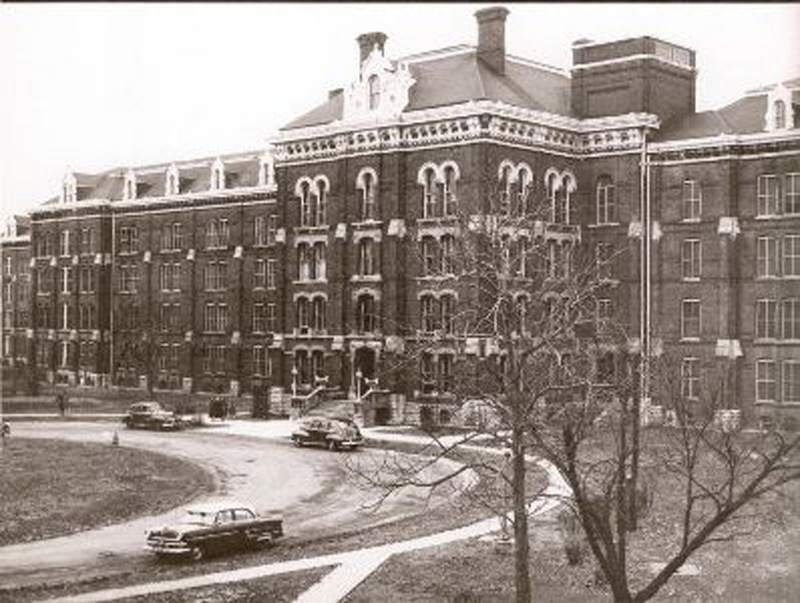 Sitting on approximately 160 acres, the facility grew from a single brick building when it opened in 1848 to a campus of numerous structures serving various different functions at the height of the hospital’s use. By the 1970s, however, most of the ornate Victorian-era buildings were declared unsound and demolished. A few modern buildings were constructed in the late 1970s, but the hospital ultimately closed in 1994. In 2003, the City of Indianapolis purchased the property and in 2007 resold it to a development group. Due to the downturn in the economy, the new construction planned for the site was delayed for a few years. In February of 2012, they finally broke ground on Central Greens, the first phase of a project that will eventually include residential and commercial properties, as well as a senior living complex and 20 acres of parkland. .
HI Mailbag: H. Lieber Co.
Sharon — Again, thanks for your good work. I worked for Indiana Civil Rights Commission from 1966 to 1975. For most of the last two-three years that I worked for the commission, I served on the Gov’s Taskforce on Classification and Salary Administration. There were two people supplied by the fed. gov’t and the rest of us were “borrowed” from depts. and agencies, with two or three from the State Dept. of Admin. The man who was the business mgr. for Central State Hosp. also was a member and when we wanted to test the work we had done, he suggested that we talk with various people at the hosp. — most of the jobs we had developed were jobs of folks at CSH. At any rate, we felt that the work of “attendants” might be different for employees on second and third shifts. So, I had the task of interviewing them. It just so happened that I was doing that just after there had been an “expose” about the place by the Indpls. _News_ and my impression of the people with whom I talked was very different than that of the reporters. Every time I drive by those grounds now, I think back to those days. What is most surprising is the new housing that has now been built on those grounds. What do you know about the steps that led to that housing — is it apartments, who developed them, were there some folks involved in securing the land and others in planning and building the apartments, or condos, if that is what they are. etc. etc. ? ? ? I have provided links to additional information about the subjects touched on in my article, which I think should answer your questions. If they do not, let me know. The links are highlighted in red. I always include links to other websites in my columns, so that my articles don’t become too long or too cumbersome. Those folks with enquiring minds who want to know more (like you!) can then click on the links, while those who don’t have the time or who aren’t as interested in a particular subject can just get an overview from the basic article. It looks as if the rebirth of the former Central State Hospital property as a mixed-use development with a village feel could really help the entire Hawthorne neighborhood. In viewing the maps, Central State’s grounds appear to have made up more than half of the entire Hawthorne neighborhood.